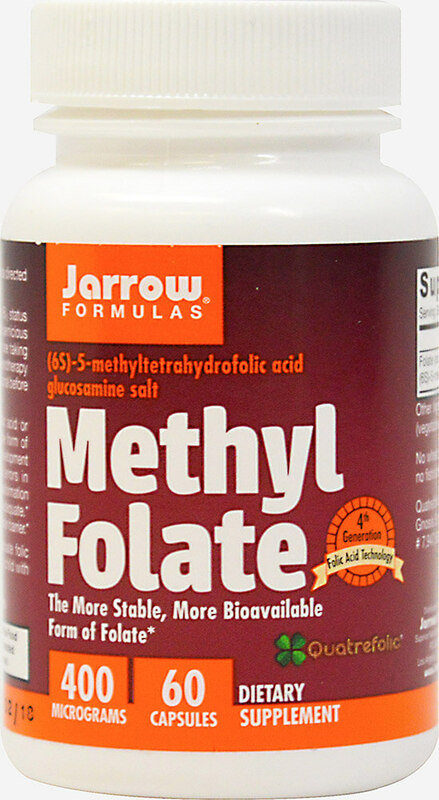 (6S)-5-Methyltetrahydrogolic Acid, Glucosamine Salt, the more stable, more bioavailable form of folate. Methyl Folate (6S)-5-methyltetrahydrofolic acid or (6S)-5-MTHF is the most biologically active form of folic acid. Quatrefolic® is the 4th generation development in folate delivery. With certain inherited errors in metabolism and physiologic stresses, the transformation of folic acid into the active form of folate is inadequate. Unlike folic acid, 5-MTHF can cross the blood-brain barrier.